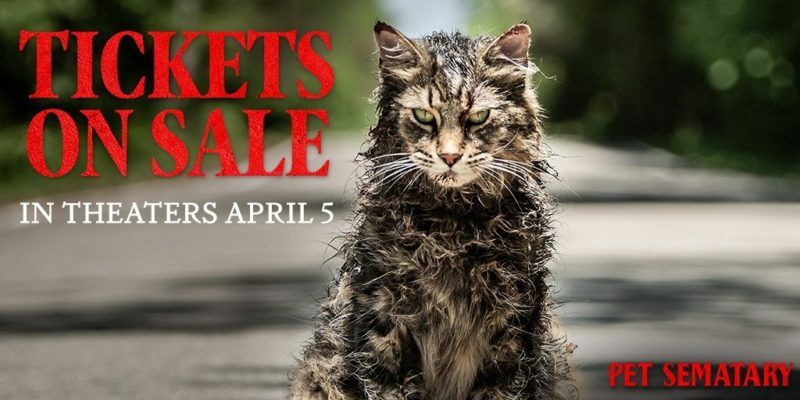 Pet Sematary Tickets On Sale Now! Tickets to see Pet Semetary in theaters are on Sale now! Pet Semetary Tickets are on Sale Now! In theaters April 5! Click here to see the Poster & Trailer! Tagged Horror, Movies, Pet Sematary, Stephen King, Tickets.